With all the advances in technology and social networking, the ability for one person to share information with the world has become much simpler than it has ever been. We all have phones with camera and Internet capabilities that can capture and share anything we want with who ever will watch. This power to share information at lightening speed can sometimes have an effect on the entertainment industry. The question that arises when photos and information begin to leak onto websites is how much information is ok and how much is harmful to the magic of film and television production? In the past two years there has been a drastic increase of leaked images and plot information online. Typically a picture from a closed set of a movie that is still being filmed gets put on a crew member’s Facebook page and then gets cycled all around the Internet. When something simple like a picture of actors preparing for a scene with not much detail involved is released, usually people are happy and excited to see a little peek into the production. What is more harmful is when someone gets secret information about the plot of a film or show and chooses to spoil it online. Spoilers have always existed in the entertainment industry. Before the age of the Internet they would be through word of mouth or occasionally in print. Times have changed quite a bit since then and now we have hundreds and hundreds of popular shows and movies that everyone is dying to know more about. These people who go “undercover” to expose secrets from the sets are sometimes journalists, but usually are just normal people like you and me. One of the most frustrating examples of this is one of my personal favorite television shows The Walking Dead. It has gotten to the point where if fans of this show look at one wrong Facebook post or one misleading news article they have the risk of spoiling major plot details that severely take away the thrill of the show. There is a little part of all of us that is understandably intrigued by these spoilers that get released. These are movies and shows that we as fans are dying to see as soon as possible, and usually the trailers just aren’t enough. The decision to view these images or plot details is up to the viewer of course, but is there really a benefit to knowing these secrets before you’re supposed to? Director J.J. Abrams is a big believer in keeping the integrity of his projects safe and secure from spoilers and leaks. With his latest film Star Wars: The Force Awakens the fans did not see much footage or know much about the plot at all. Regardless of what you thought about this film, it was refreshing to walk into a movie knowing only what the creators wanted you to know. Just this past summer, we have been inundated with leaked images and plot details from movies currently in production. On the set of Thor: Ragnarok we have not only learned that the film will contain parts of the famous Planet Hulk comic, it was also revealed that the film will tie into Doctor Strange which will be released later this year. These two pieces of information may seem insignificant, but if I were to walk into a Thor film and be surprised that they were attempting Planet Hulk I would be so much happier than if I knew it walking in. There have also been many purposeful behind the scenes pictures from the actors and directors. On the set of Spider-Man: Homecoming actor Tom Holland has been celebrating the production milestones with cool selfies and fun photos in between takes. The fans and critics usually positively accept these leaks because they give everyone something to look forward to without ruining the story. 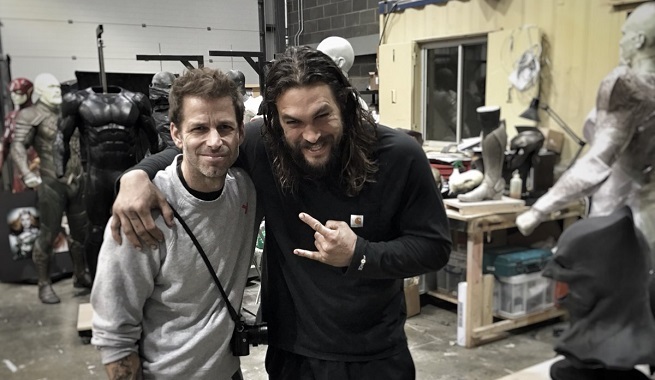 In the past week, Ben Affleck released a surprise clip of DC villain Deathstroke while filming his latest film Justice League. This footage felt very conflicting because it was a reveal that could have been a pretty amazing surprise in the film itself, but it was purposely released by someone in the film and was obviously meant for public viewing. This footage being dropped on Affleck’s personal Facebook page proves to me that the entertainment industry believes that the majority of fans want to see sneak peaks of upcoming projects. With the advancing field of social media and Internet capabilities, the filmmaking process will continue to become more and more transparent. For those who still enjoy being surprised and amazed by their choice of entertainment, be careful what you read! Next ArticleAlbum Review: Bayside - "Vacancy"